Two teams have been selected to perform the first research campaigns at the U.S. Department of Energy's EMSL. One campaign with scientists from Pacific Northwest National Laboratory, the University of California-Berkeley, and Pennsylvania State University is expected to provide novel insights into catalytic reactions. The other team, from Washington State University-Tri-Cities and PNNL, is working on biochemical processes. The campaigns will generate new analytical approaches and tools that could lead to high-value products from biomass sources. EMSL invited science teams from around the world to propose campaigns that would advance scientific understanding of a problem—in either biology or interfacial sciences—that explores the interactions taking place on and between materials surfaces. The proposals had to exploit EMSL's multiple technology platforms and data integration capabilities. Reviewers identified two proposals as being of high potential impact and requiring the integrated team and capability effort envisioned. The teams began work in December 2010. Reaching NMR's Catalysis Potential. This campaign focuses on understanding catalytic reactions on the surfaces of advanced metal oxide-based materials. The science community uses catalysis to rapidly and efficiently carry out chemical reactions in areas ranging from energy production and storage to limiting release of harmful pollutants from industrial processes and from vehicle transportation. The team's approach includes developing powerful new capabilities using a combination of nuclear magnetic resonance and computation to examine catalytic reactions on surfaces at the molecular level. 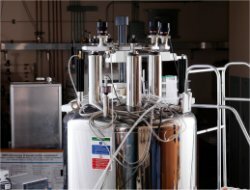 Some of the more advanced NMR techniques have been difficult—though potentially very powerful and valuable—to apply to heterogeneous catalyst research. Not only will the campaign give the science community new NMR analytical capabilities, but also provide insights to make catalytic processes more efficient, and thus less costly to perform. The catalysis team includes Chuck Peden, Jian Zhi Hu, Ja Hun Kwak, Yong Wang, Donghai Mei, David Hoyt, Karl Mueller, Nancy Washton, Sarah D. Burton, Jesse A. Sears, Hardeep Mehta, Niri Govind, Eric Bylaska, and Amity Andersen, PNNL; Enrique Iglesia, University of California, Berkeley; and Jim Kubicki, Pennsylvania State University. Optimizing Isoprene Production. The second campaign will improve understanding of how a hydrocarbon known as isoprene is created from biomass. Isoprene is used as a feedstock chemical for products such as biofuels, rubber, elastomers, and certain medicines. Scientists want to understand and optimize isoprene production by bacteria as part of the effort to increase the yield of isoprene from biomass. 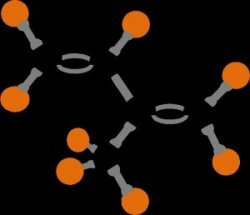 Yet finding key enzymes in the genetic pathway for bacteria to produce isoprene has proven elusive, thus limiting their use for making industrial-scale isoprene. The arduous process of gene hunting—taking months to extract and analyze genetic variants—has not identified the genes responsible for isoprene creation. This research campaign uses a new, faster approach for this detective work. The team, which involves scientists from WSU-TC and PNNL, will vary isoprene production conditions and use EMSL's functional genomics and advanced computational capabilities to reveal any genes that change when isoprene production does. Any genetic clues they find could pave the way for higher isoprene yields. The isoprene team members include Birgitte K. Ahring and Junfeng Xue, WSU-TC; and Steven Wiley, Ljiljana Paša-Tolic, Bryan Linggi, Nancy Isern, Paul Majors, and Ron Taylor, PNNL. "The capabilities and approaches developed will enable groundbreaking science in catalytic chemistry, and EMSL is very well placed to lead this field." "This proposal tackles important biological questions that have practical implications in the production of high-added-value products from biomass. (It) beautifully integrates the scientific expertise of the university team with the world-class capabilities at EMSL."